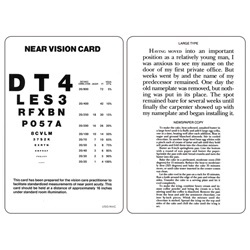 Double-sided English acuity near testing card with letters, large type, and newspaper copy ranging from 4 to 72 point font. 20/20 to 20/800 acuity measurements. Hold 16" away. Protective plastic card provides a washable, long lasting finish. 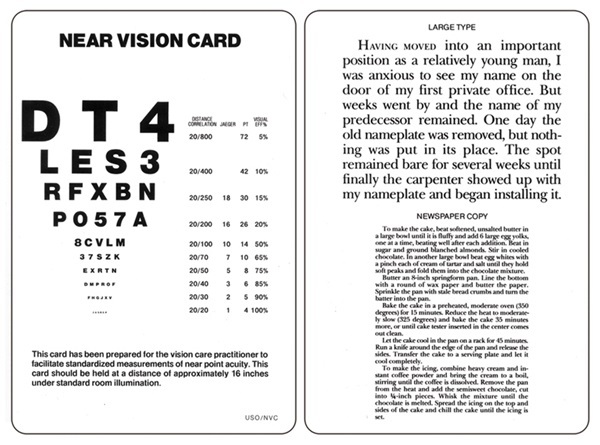 Measures 5.375" x 8". Manufactured by Bernell. Comes as singles.